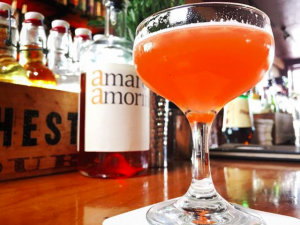 With its backbone of Seville orange peels and layers of spice, floral notes, vanilla, and earthy character, Amaro Amorino is an exceptionally versatile cocktail amaro. 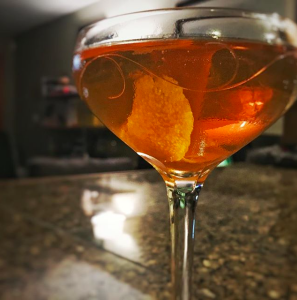 This variation on the increasingly popular “Paper Plane” cocktail is a little bit more assertive, a hair more bitter, and a skosh spicier. Enjoy on a hot day (or a cold day in a warm house!). Variation: Add an egg white to the mixture and shake for a full minute before adding ice and shaking to chill. This will create a nice frothy layer on top. Top with a few drops of Peychaud’s bitters. “Mezzo e mezzo” in Italian translates directly to “half and half,” which gives you a good idea of what the recipe is for this easiest-of-any cocktail. The end result is a spicy turn on an Old Fashioned. Combine ingredients in a mixing glass and stir with ice. Strain into a double old fashioned glass/tumbler full of rocks or one large ice cube. 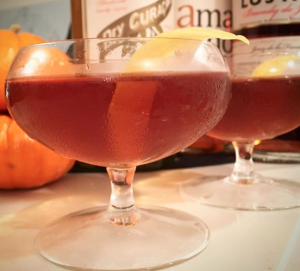 This was the first cocktail ever made with our amaro. 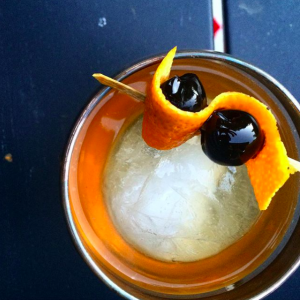 The small amount of sweet vermouth serves to tie the gin and the amaro together and round out the drink. 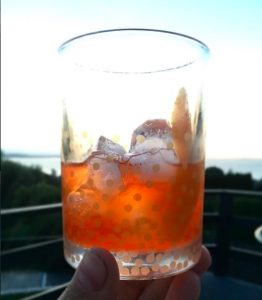 This drink was invented when I went to batch Aperol and gin for another cocktail at an event and accidentally batched bourbon and Aperol. Well, we couldn’t let a liter of THAT go to waste, so I made a version of the Boulevardier for some friends and it was a huge hit! Created on the fly one night by Seattle bartender Nathan Layman, this drink has quickly become one of our favorites. We don’t generally call our specific base spirits, but the brandy finished in sherry casks lends a unique creamy and chocolatey note that really makes this cocktail shine. Sure, it’s a stirred, brown-spirit drink in a coupe glass, but there’s some strange alchemy at work here and we defy you to take a sip and tell us that the aftertaste doesn’t make you think you just had eggnog. Combine ingredients in a mixing glass and stir with ice. Strain into a coupe glass.